Not wanting to be outdone by AMD's driver release yesterday, Nvidia has launched a new set of GeForce graphics card drivers that are 'Game Ready' for No Man's Sky and Deus Ex: Mankind Divided, among other titles. No Man's Sky was released late last week to mixed reviews, particularly for the PC version which is currently plagued with technical issues. This new driver won't resolve some fundamental performance issues with the game, but it does support SLI. 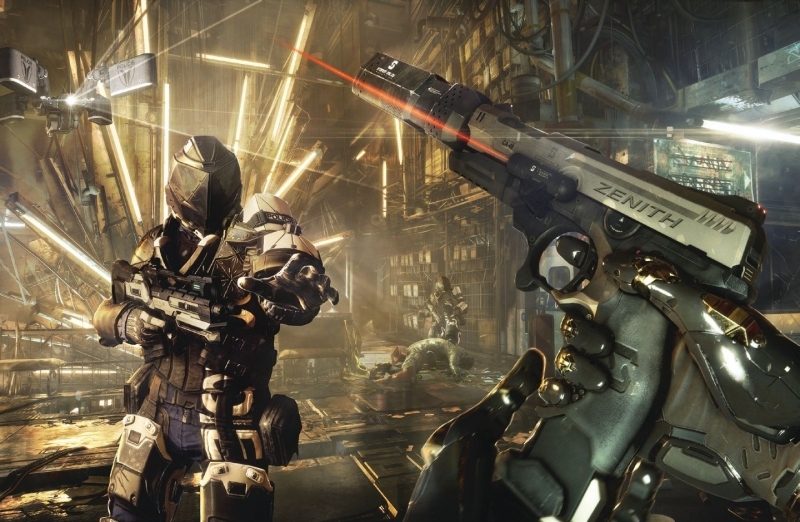 You'll also get SLI support and optimizations for Deus Ex: Mankind Divided, which will be released next week on August 23rd. The GeForce 372.54 drivers are also Game Ready for F1 2016, virtual reality game Obduction, and the Paragon open beta. These drivers introduce support for Nvidia's GTX 1080, GTX 1070 and GTX 1060 for laptops as well. As always you can download the new Nvidia drivers through GeForce Experience automatically, or you can grab a manual installer from our driver download section here.